FTDNA has announced a 72 hour sale for mitochondrial and autosomal DNA tests. Does this reflect the increased competition now that Ancestry has joined FTDNA and 23andMe in the autosomal testing marketplace? Maybe and maybe not. 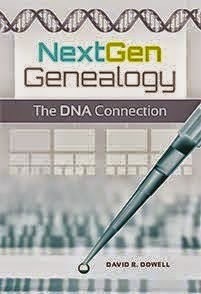 Periodic sales have been around in this marketplace before Ancestry recently joined this segment of the DNA testing arena. This is a courtesy e-mail to you about a sale we are announcing to all of our customers, therefore you do not need to re-post it in your administrator's bulk e-mail system. It seems every time we run a flash sale a few people e-mail us days later they were traveling, sick or just had not looked at their e-mails in time, so for all of you who want to entice a friend, neighbor or reluctant relative to get involved in Genetic Genealogy here's one more opportunity, but it will last for only 72 hours. Both men and women can take any of these tests. The mtFullSequence and the upgrades will provide information that has been passed down by mothers through their umbilical cords to all their children. Men cannot pass it down to their offspring. Mitochondrial DNA can trace maternal lines back through scores of generations. Family Finder tests autosomal DNA for near relatives up any ancestral line. Labels: Autosomal DNA, Family Finder, FTDNA Sale, Your Genetic Genealogist. Mitochondrial DNA.